Posted on February 7, 2019 by Atlas Chiropractic, P.C. It’s February, and you know what that means: You need only venture into the closest store to find an abundance of heart-shaped cards, balloons and candies. But this month’s heart-a-palooza is about more than just Valentine’s Day. February is American Heart Month, a reminder that heart disease is a leading cause of death for both men and women in the U.S. In addition to celebrating your sweetie this month, why not take steps to ensure that you’re living a heart-healthy lifestyle? 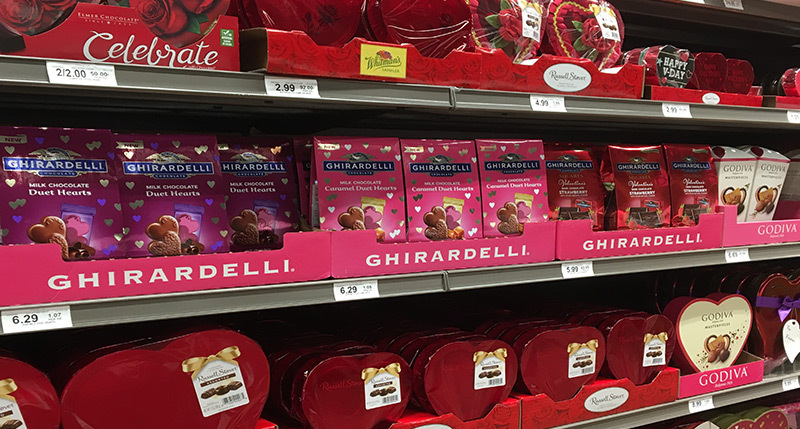 One way to start is by skipping over the vast majority of heart-shaped, sugary treats lining retail shelves this month. While there’s no question that high sugar consumption is linked to obesity, sugar is also a significant factor in heart health. Eating sugar increases triglycerides ― a type of fat ― in your arteries, and too much dietary sugar also increases blood insulin levels. Over time, the excess sugars and fats in the bloodstream can damage blood vessels and organs, causing problems like high blood pressure, fatty liver disease, and diabetes ― all of which are associated with an increased risk for heart attack and stroke. Some sugars occur naturally in fruits and vegetables, but those foods are not the sugar culprit. Plant-based foods are high in antioxidants, minerals and fiber, which help the body digest slowly and steadily, providing you with a steady, healthy energy supply. Added sugars, however, do the opposite, dumping large amounts of nutrient-deficient calories into the body at once and causing blood sugar spikes that are followed by dips in energy. To avoid this unhealthy pattern, steer clear of candy, cookies, cakes and other sweets. It’s also best to stay away from soft drinks, fruit drinks, flavored yogurts and cereals ― most of which are also loaded with sugar. In fact, most processed foods contain added sugars, including soups, breads, cured meats and ketchup. Read your labels carefully, and watch out for sugar aliases such as sucrose, dextrose, cane juice, agave, honey, and corn syrup, just to name a few. No matter what you call them on food labels, to your body, they’re all sugar. What about my box of chocolates? Feeling like you might as well forego Valentine’s Day altogether? Good news: Not every item on those red-and-pink holiday shelves is entirely unhealthful. For many of us, Valentine’s Day is synonymous with chocolate, and, as it turns out, chocolate is actually good for our hearts. In 2011, widespread research that pooled the results of seven published studies with over 100,000 participants revealed that people who consumed the highest amounts of chocolate had a 37% lower risk of heart disease and a 29% lower risk of stroke than study participants who ate minimal amounts of chocolate ― either milk chocolate or dark chocolate. Before you take that as a green light to gorge yourself on heart-shaped chocolates, remember that many chocolates are laden with sugar and fats and can cause weight gain. Moderation is still key. Research seems to show that the antioxidants in chocolate offer a beneficial influence despite the sugar and fat that so often accompany them. The specific antioxidants in chocolate are called flavonoids, and they’re found in many foods including tea, blueberries, red wine, apples, cherries, pears and nuts. Flavonoids are especially abundant in cacao beans, which are used to make the cocoa powder that gives chocolate its characteristic dark flavor and color. These flavonoids are powerful heart-helpers that work to lower blood pressure, improve blood flow to the heart and brain, fight cell damage and prevent blood clots. That’s about as heart-healthy as it gets!